Washington Post: Does Transcendental Meditation help veterans with PTSD? Posted at 02:45 PM ET, 05/03/2012. Does Transcendental Meditation help veterans with PTSD? Seeking new ways to treat post-traumatic stress, the Department of Veteran Affairs is studying the use of transcendental meditation to help returning veterans of Iraq and Afghanistan. “The reality is not all individuals we see are treatable by the techniques we use,” said W. Scott Gould, deputy secretary for the Department of Veterans Affairs, told a summit on the use of TM to treat post traumatic stress Thursday in Washington. The VA is spending about $5 million on a dozen trials involving several hundred veterans from a range of conflicts, including Iraq and Afghanistan. Results from the trials will not be available for another 12 to 18 months. But Gould said he was “encouraged” by the results of trials which were presented at the summit. Two independent pilot studies of Iraq and Afghanistan veterans showed a 50 percent reduction in symptoms of post-traumatic stress after eight weeks, according to the summit’s sponsor, the David Lynch Foundation, a charitable organization founded by the American filmmaker and television director. Results from the initial phase of a long-term trial investigating the effects of Transcendental Meditation on 60 cadets at Norwich University, a private military college in Vermont, have been encouraging, school officials said at the summit, held at The Army and Navy Club. Students practising TM showed measurable improvement in the areas of academic performance and discipline over a control group. “The statistical effect we found in only two months was surprisingly large,” Carole Bandy, an associate professor of psychology who is directing the study at the university, said at the summit. “For us, it’s all about the evidence,” said Richard W. Schneider, president of the university, who added that he was a skeptic before the trial began. “Conventional approaches fall woefully short of the mark, so we clearly need a new approach,” Norman Rosenthal, a clinical professor of of psychiatry at Georgetown University Medical School. 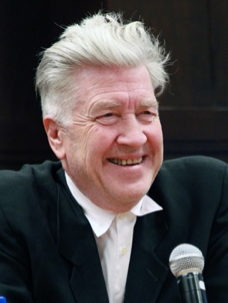 Lynch, the director of “Blue Velvet,” “Mullholland Drive” and the television series “Twin Peaks,” is a longtime practitioner of TM, a meditative practice advocates say helps manage stress and depression. Related articles: POLITICO: Coping with PTSD | Norwich University President Receives “Resilient Warrior Award” at National Veterans Summit in Washington, DC | Huffington Post: David Lynch Brings Transcendental Meditation To D.C. This entry was posted on May 4, 2012 at 12:28 am and is filed under Articles, David Lynch Foundation, Health, Peace. You can follow any responses to this entry through the RSS 2.0 feed. You can leave a response, or trackback from your own site.